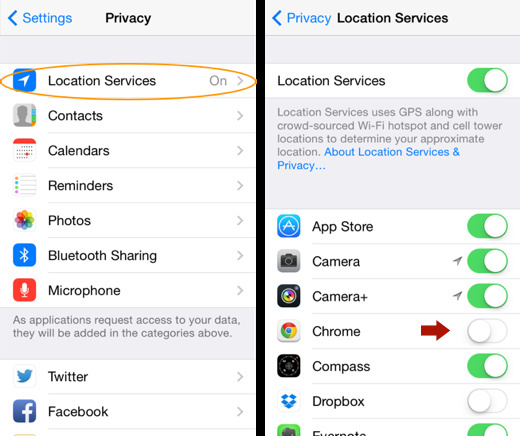 If you are using the Chrome Browser on IOS7 it defaults to not having “Location Services” enabled. You need to enable it to use the location features of the Trailforks mobile website. Refresh http://m.trailforks.com and it should now ask for permission to use your location. This will load the nearby riding areas in a list, and when viewing a map you can use the location button in the bottom right to show your current location.